courses), and starting an open online Master’s degree programme. There is also the Wikiwijs programme, which aims to adopt a specific approach for higher education. The OER Trend Report for 2013 provides an extensive survey and explanation of these developments, primarily from the perspective of experts. It thus provides a balanced picture of the opportunities and possibilities of OER but also of the objections to them. What determines readiness to share? If you have a bit of time, this is a nice read to get up to speed with the current state of affairs of OER. Another great initiative called Eliademy is getting more attention as it rolls out one day at the time. The people of TechCrunch got me onto this wonderful open course initiative. Eliademy provides people to build their own MOOC courses (for free) and get your own learner base up to speed with relevant content/cases/expertise... This time it is an initiative coming from Finland, more precisely from ex-Nokia high-profiled visionairs. The idea is easy enough: take Moodle, adapt it to usability (lean, smooth immediate overview and orientation), develop it so people can build courses using different languages. You can prepare content and keep it invisible for your learners, or publish it whenever you feel like it. The process is simple, you can log in/register with an existing account from e.g. Facebook, LinkedIn or Gmail. You can add content, start discussions, a timeline, get annotations or notes in (which is conveniently linked to Evernote, making it a perfect ubiquitous fit). BUT, although it is in the cloud, I have not found a way to link it to my own existing learning channels. From a content angle you can really easily add a picture, file, youtube or vimeo video, or link it to slideshare, but that just is not enough. In my opinion, nowadays many of us have curated content streams set-up somewhere, and these types of content streams can be seen as learning options, as they are filtered and focused. There is a feed for the course, so I would imagine this feed could be merged with others. Having said that, it could be that such an option exists, as I only took a brief look and could not find it. I also did not see a virtual classroom tool, but that could be integrated using HangOut over Youtube, with youtube being integrated in the course itself (a workaround). What I would like to see is the Moodle (or other) type of central - collaboratively adaptable - central content environment, with options such as provided by Netvibes , a plea for Open Content Stream Resources (not sure if that type of term exists :-D but it is related to Open Educational Resources (OER), yet of the streamed and curated type). That way the course could be fitted amidst a more realistic content dynamic, more like a Lego type of content creation and not fitting all the content of a course in the confinement of a bordered learning environment. By leaving this curated option open, the course content can also be fertilized by ideas and content produced by the learners themselves. But overall: really easy, simple, ubiquitous course platform that can be enriched with content in just a few moments. Nice. Let's be honest, we all LOVE research *grin*, or facts, or lists, or useful practices ... or practical strategies for that matter. 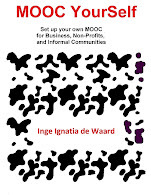 Well, here is a new set of useful strategies for mobile MOOCs, I hope you like it! In my latest research I focused on the impact of mobile access on learner interactions in a MOOC (Massive Open Online Course). The research was done to get my Master in Education at Athabasca University. As always all of the Athabasca faculty was supportive to get the research up to their standards (ethical approval, relevant literature...). As mobile access and massive open online courses (MOOCs) become a global reality, the realm of potential distance learners is expanding rapidly. Mobile learning (mLearning) as well as MOOCs are based on similar characteristics as shown in the literature review of this study. They both enhance a community feeling, increasing networking and collaboration; they strengthen lifelong and informal learning, they use social media to a large extend and they are ideal for setting up communicative dialogues. The focus on learner interactions is of interest, as research has shown that dialogue is an important element for learning and knowledge enhancement, and mobile access increases the opportunities to enter into such interactions. This thesis study used a sequential explanatory mixed methods approach to investigate the impact of mobile accessibility on learner interaction in a MOOC. The study showed that opening up a MOOC for mobile access has immediate impact on learner interactions, as participants with mobile devices tend to interact more with their fellow learners in comparison to their non-mobile colleagues. This was deduced from the mixed methods approach looking at web-based statistics, an online survey, an analysis using the Community of Inquiry framework and one-on-one interviews with volunteers. The study formulated a set of 20 strategies and possible consequences deriving from the analysis of the impact of mobile accessibility in a MOOC and more specifically how this affects learner interactions. These strategies might optimize the impact of mobile access on learner interactions in an informal, open, online course. Future research needs to support the findings, embracing a larger learner population from a more varied background. Overall, this research hopes to add to the body of knowledge strengthening the field of distance education. 1. Offer a ubiquitous learning environment based on BYOD design and content, making use of existing ubiquitous tools (social media, e-mail…) so people can switch between devices at their own preference. 2. Create a user-friendly, one button centralized access learning environment. This easy access must be linked to a clear course overview to increase transparency, user-friendliness and provide the learner with a structure that s/he can organize for self-regulating learning purposes. 3. Provide self-directed learning strategies to the learners. 4. Enabling immediate access to content material as well as discussion areas adds to time management options and it enables self-regulated learning. 5. Offer synchronous and asynchronous learner activities within a clearly timed course. This provides the necessary freedom for the learner to access, reflect and possibly react on the subject touched at specific moments during the course. 6. Provide a clear timetable of the course, while embedding time for reflection into the course timeline. This suggested flexible, yet cohort move through the course provides an opportunity to nurture reflection time, which is in direct relation to learner interactions. 7. Embed informality in the course to allow increased, autonomous learner interactions to emerge. This room for emergence is induced by the course being both formal and informal, or informal overall and being mobile. The informal character of a course results in participants feeling more at ease with sharing and producing content and engaging in interactions across all their devices. 8. Increase the necessary digital skills of the learner, providing basic training before the course starts via meaningful content-related actions. If a course is accessible for a multitude of devices, it affects (the need for) digital skills, because multiple devices have multiple characteristics and affordances. 9. Offer an array of course materials, varying from bite size snacks to big, time consuming content. The mobility of the user results in the ability to access materials in a variety of locations and times. As such a wide array of course materials is needed to cater to the time availability of the learner. Offering the learner a choice to tailor the content to their current possibilities. 10. Provide a sense of ownership about the content and the learning: BYOD, contextualized options, this adds to the overall learner motivation. 11. Ensure a safe learning environment. This essential to increase learner interactions in general. Tolerance, trust, daring to write in a non-native language and knowing that one can pose every content related question and not being judged for either its simplicity or format must be set early in the course. 12. Provide interaction/communication guidelines stipulating balanced communication allowing a safe discussion area to be ensured. By creating a safe learning environment, a broader perspective of personalities are tempted to engage and interact in the course. 13. Profile a central course person(s) (e.g. central coordinator, course support person) who watches over the interactions and links to each participant personally, ensuring a trusting learning environment with room for cultural and language diversity. 14. Watch over the group-size. Community feeling is increased by an intermediate group-size and learner-centered activities, which in turn affects learner interactions. 15. Allow networks to emerge. A community feeling based upon easy (mobile) access increases the formation of a more durable professional network for those connecting to each other in a way that surpasses the course duration. 16. Embed icebreaker activities and/or discussions at the beginning of the course to allow learner interactions to take off. These activities should also be linked to intellectual topics. 17. Ensure discussions or conversation starters. The act of conversation and exchanging ideas leads to more interactions as participants become more familiar with each other on professional grounds. 18. Create meaningful, contextualized, generic, topic related interactions, as they are pivotal to create a course community spirit, because the exchange of professional interests adds to the knowledge need of the learners. 19. Add activities involving non-verbal communication to offer additional understanding, which increases the community feeling, for it might offer an additional insight into dialogue and discussion. 20. Ensure topic relevant learner diversity in examples or actions. Learners can more easily join in those conversations where they detect knowledge niches to which they can provide an answer, strengthening each other. 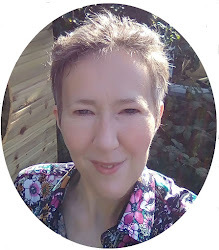 Last week I got a message from Stephanie Ray and she asked me to take a look and review Nota, a free mobile collaborative learning platform which is available in a web format and as a mobile app. As she mentioned that it was linked to Open Educational Resources (OER) of Science, Technology, Engineering and Mathematics (STEM) textbooks, I got intrigued. They only launched in January 2013 so still beta, which is the nicest state as all of our remarks on the tool are as such welcomed. After playing around a bit with Nota, it sure seems a nice tool. 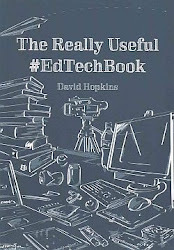 It offers textbook access with immediate (= internet enabled) links to movies, pictures, annotations... As it does offer very easy annotation options (just click a button), and most of all everything gets fed right into the cloud again. Another nice feature is the fact that Nota keeps a timeline of your actions (really useful if you know you visited something, but not sure where it was located in a particular book). Because annotations are easy to make, you can also link to personal content that is relevant to the topic you are researching (or teaching or learning for that matter) and build upon the original content provided. Really nice and it works smoothly, if you have a strong internet connection. So anyone can easily add comments, bookmarks, put in links to other content like video's, statistics, pictures.... which then can be commented on, liked, shared... all over again. At present Nota is focusing on the free STEM catalog of high school and college textbooks, as such Nota is targeting students who can support each other in a peer-to-peer learning environment, without the high cost of textbooks or tutoring. But I can see how this type of technology has the potential to go beyond its original start. A community of practitioners could use the tool to start up their own text and multimedia rich training/learning HUB. Exchanging information and adding to it as they read on. Of course everything is in the open, so everyone could have access. At the moment the tool is only accessible for Android version 4.0 or higher, or via the web. But they do mention that the Apple versions (cross mobile) will be out soon as well. What would I like to see as an addition: a voice annotation option. Add the audio sensor/microphone from my mobile as a voice-to-speech bit to the options and it will make life easier for me, because I do not like to type much with my smartphone keyboard. Overall a nice addition for mLearning.